Wired magazine awards Nelly Ben Hayoun with a WIRED Innovation fellowship for her work to date. The 12 WIRED Innovation Fellows were selected by Wired editorial team on their potential to make a significant impact on the world . 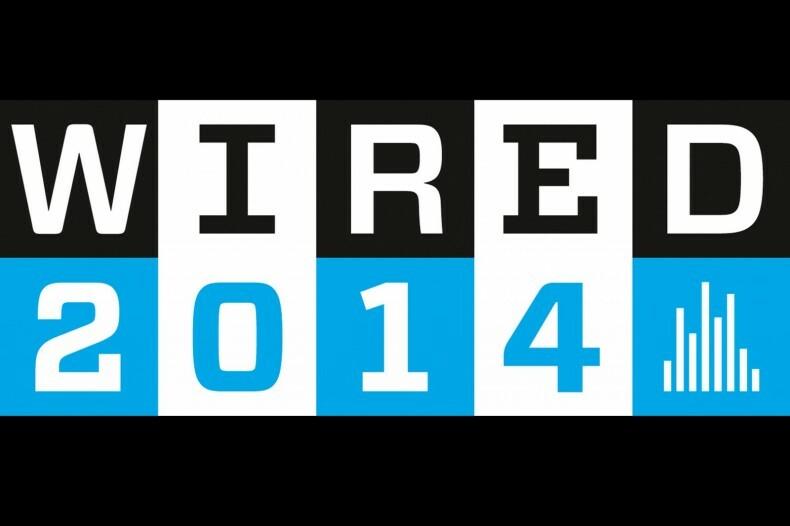 WIRED is delighted to announce the 12 recipients of the inaugural WIRED Innovation Fellowships. Representing seven countries, these 12 fellows will gain free and full access to all WIRED events; the opportunity to speak on WIRED conference stages and network with other Innovation Fellows and conference speakers; coverage in WIRED’s digital and print publications; and further support and mentorship that the magazine and its partners can offer. _ Nelly Ben Hayoun, director of The International Space Orchestra, Head of Experiences at We Transfer and designer of experiences at the SETI Institute, Ben Hayoun has been called the “Willy Wonka of design and science” and is on a mission to bring chaos, subversion and disorder into the design and the scientific world. _Nina Tandon, CEO and cofounder of EpiBone, the world’s first company growing living human bones for skeletal reconstruction. _Skylar Tibbits, director of the Self-Assembly Lab in MIT’s Department of Architecture, who is spearheading 4D printing, where the fourth dimension is time, with the aim of creating objects that can then reshape or self-assemble themselves. _Ionut Alexandru Budisteanu, University of Bucharest, who has used artificial intelligence to help blind people to see with their tongues, as well as designing an autonomous car with a mounted camera to identify traffic lanes, curbs, cars and people. _Jennifer Broutin Farah, founder and CEO of SproutsIO, which is leading the development of new technologies that redefine our interactions with food, via a futuristic in-home garden controlled by a mobile app. _Rachel Wingfield, founder and creative director at Loop.pH, a collaborative spatial laboratory operating at the convergence of design, architecture and science, who speculates on near and far future scenarios that explore emerging biological and technological futures that could impact society and the world at large. _Mina Girgis, ethnomusicologist and entrepreneur who specialises in curating and producing innovative musical collaborations across diverse styles, and who explores new ways to design environments conducive to learning, making and experiencing music. He has also created the Nile Project, an initiative to inspire, educate and empower university students to work together to foster the sustainability of the Nile ecosystem. _Dhairya Dand, researcher at the MIT Media Lab whose work focuses on creating objects and platforms that augment senses and emotions, incite curiosity and serendipity, and explore intersections of mythology and science fiction. Creations have included shoes that tickle, an elastic 2.5D display that can be pinched and pulled, ice cubes which know how much the consumer drinks and toys made from e-waste. _Joel Jackson, British social entrepreneur and founder of Mobius Motors, who moved to Kenya to design, manufacture and sell highly functional and affordable off-road vehicles aimed to mobilise the developing world. _Uma Ramakrishnan, assistant professor, National Centre for Biological Sciences, TIFR, Bangalore, whose focus is on whether there is a future for biodiversity in the Indian subcontinent. _Sandesh Reddy, chef and ideator who has created Kichin, an on demand mobile platform that brings fresh food closer to diners, by identifying likes and dislikes enabling them to make a conscious purchase of food to suit a mood or dietary requirement. The WIRED Innovation Fellowships were open to any individual working in fields normally covered by WIRED who, in the editorial team’s opinion, has the potential to make a significant impact on the world. Competition was fierce among the emerging innovators in science, technology, design, culture, business, the arts and other fields covered by the magazine, who both excited in their fresh and energetic approach, and who have achieved a proven track record of early success.